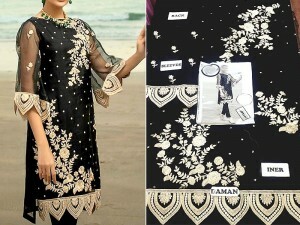 Anaya's previous collection has been a massive hit among the Pakistani audience due to great quality and unbeatable price tag. Anaya by Kiran Chaudhry strives hard to provide unique designs to its loyal customers so that they can express individuality and feel their best. Anaya by Kiran Chaudhry Wedding Collection 2019 is a luxurious affair of extravagant, Pakistani bridal dresses. 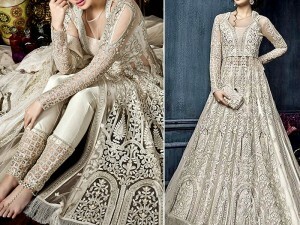 The Eastern inspired wedding ensembles speak of class and superior sense of fashion. This exclusive three-piece outfit collection is one of the genius releases by the fashion label Anaya. Each Anaya dress design showcases creativity and reflects the signature style of the designer. To make Anaya Wedding Collection 2019 available for the masses Anaya comes with a very accessible price. 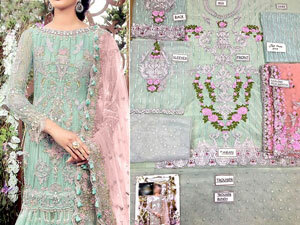 The Anaya Pakistani Wedding dresses is a fusion of classic bridal designs with a modern cut and details. The aesthetics and design are stunning. Each piece has a timeless style making it a wardrobe staple for every beautiful bride. One particular thing noteworthy about this collection is the variation in fabrics used to control construct each ensemble. You can find rich velvets, breezy chiffons, and silk mixed with sequins and embroidery. The use of multiple fabrics adds dimension add depth to the design. This is a very versatile collection by Kiran Choudary and works both for day and night festive events. 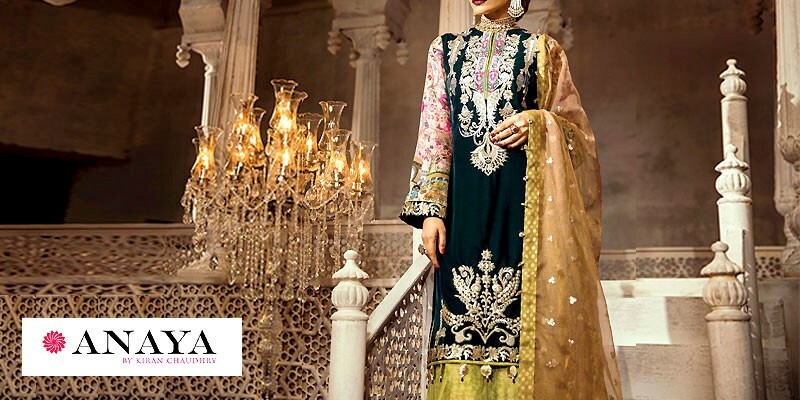 The Anaya by Kiran Chaudhry Pakistani Wedding Collection 2019 is now available online and can also be purchased at retail stores nationwide.